ZWZ Participants were true pioneers as the nation's forerunner in the commercial collection of food waste for compost. With the tremendous media coverage - a CNN story and New York Times front-page article - the pioneers were recognized as heroes! When the National Restaurant Association purchased the ZWZ in 2012, the Sustainable Food Court Initiative (SFCI) emerged as Ei's central Recycling Refinement focus through 2016. Under the ZWZ, best-operating practices were established for back-of-the-house food waste generated in commercial kitchens. The SFCI addressed front-of-the-house food waste, recycling, and trash collection where the consumer source-separated material. In 2014, Ei announced post-consumer food waste collection for compost or a state-permitted destination other than landfill was the prime SFCI focus. The Sustainable Materials ACTION Team (SMAT) formed to support post-consumer food waste projects, ranging from compostable packaging education, post-game food waste collection, and a post-consumer food waste compost pilot at a state-permitted composting facility. 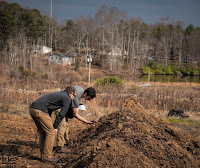 In addition to the SFCI, SMAT supported the EPA Scaling Up Compost in Charlotte, NC Grant. By 2016 numerous sporting event facilities, venues, outdoor festivals, and other food-related businesses achieved zero waste, including post-consumer food waste. Thus, Ei's post-consumer food waste-related work was complete. In addition to post-consumer food waste, the SFCI Pilots were active in the Source-Separated Materials Recycling Template, plastic film recycling pilots. and milk jug recycling programs. With the July 2017 Soil Health platform announcement, Ei evolved from a focus on Recycling Refinement and food waste collection for compost to Soil Health, with the Water Use | Toxicity and Product Stewardship platforms remaining in strong supporting roles. The ZWA Blog article, Soil Health: regenerating the foundation of life, announced the Ei Soil Health platform. In alignment with the new Ei focus, Georgia World Congress Center Director of Sustainability Tim Trefzer joined the Ei Leadership Team as the new SFCI Chair. Instrumental in the Soil Health platform development, Tim participated in the 2017 Ei Farm Tours documented in the ZWA Blog article, The Power of Tours. 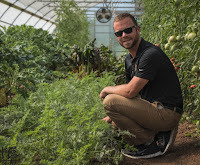 Inspired by the tours, Tim teamed with Levy Restaurants GWCC Executive Chef Matt Roach and GWCC Grounds Operation Manager Steve Ware to identify an on-campus mini-farm area. The intent is to use regenerative agriculture practices at the on-campus mini-farm to produce food for the employee dining facility. 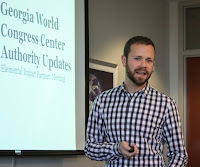 With the November 2017 decommissioning of the Georgia Dome, the Georgia World Congress Center Authority (GWCCA) stepped forward as the SFCI Event Venue Pilot. Within the state-owned GWCCA umbrella is the Georgia World Congress Center (GWCC), the fourth-largest convention center in the nation and the world's largest LEED Certified convention center. 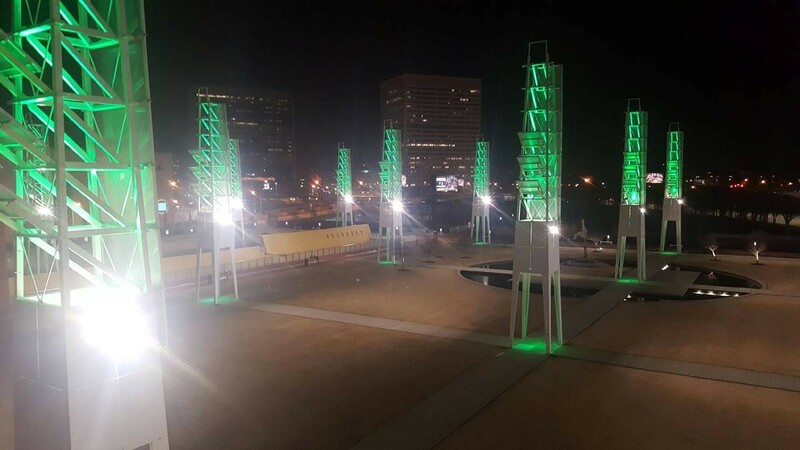 In addition to the GWCC, the GWCCA manages Olympic Centennial Park in downtown Atlanta and the Savannah International Trade & Convention Center. The SFCI - Georgia Dome page showcases the accomplishments during its 2012 - 2016 tenure as the SFCI Event Venue Pilot. GWCC earned LEED Silver in 2014 making it the world's largest LEED certified convention center and is actively working towards LEED Gold (anticipated Fall 2017). GWCCA-managed Savannah International Trade and Convention Center earned LEED Gold in July 2017, making it the first convention center in the State of Georgia to achieve Gold LEED status. GWCCA diverted more than 14 million pounds of material from landfills since 2008; the GWCC received the Atlanta Better Buildings Challenge 2016 Waste Diversion Award. GWCC reduced water consumption by 41% since 2008 through the installation of new irrigation, restroom fixtures, and chillers. GWCC is approximately 28% more energy efficient than similar buildings. GWCC’s 1,900-solar panel canopy located in the marshaling yard produces enough energy to power 89 Georgia homes annually. GWCCA employees donated 1730 lbs. of clothing, recycled 152 lbs. of batteries and electronics, and donated nearly 500 meals worth of food to the Atlanta Community Food Bank during the 2016 holiday season. In 2015 the GWCC entered into a $28 million energy-savings performance contract to upgrade old, outdated equipment with a collaborative financing plan. The GWCC performance contract is the largest stand-alone project in Georgia and the largest in the country for public assembly venues. $1,827,241 of energy costs saved. 17,810,772 kWh of electricity saved (enough to power 1,781 homes in Georgia). 13,704,856 gallons of water saved (the amount of water in more than 20 Olympic-sized swimming pools). 18,481 therms of natural gas saved (average annual usage of 26 Georgia homes). 578,277 pounds of construction waste recycled (the equivalent weight of 18,504,864 empty soda cans). Event contracts – Facility sales departments often book events years in advance; by event time, contract provisions may not complement facility sustainability practices. 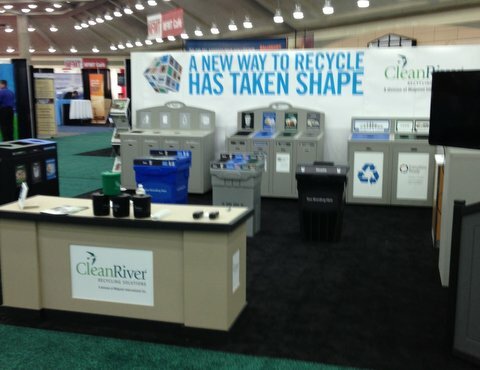 Common practice includes one waste haul per exhibit hall within the contract price; thus, there is no financial incentive to reduce event waste. Third party contractors - Most conferences contract with a local event management company for equipment rental along with delivery, set-up, and tear-down. Event team communication of sustainability practices often does not reach the subcontractors; thus, specified tasks do not happen. Move-out timing - Contracts include a tight post-event timeline for the staff to clear out the exhibit hall. Due to the time-sensitive urgency, the staff focuses on "clearing out" in the fastest manner possible; often recyclable material ends up in the waste container, versus separated for recycling. Government-owned facilities – Many conference centers are owned by local and state governments with bidding processes required for service and equipment contracts. Event day driven – By their nature conference centers experience high-level activity followed by slow or dormant time. With the plethora of event venue challenges, the GWCC successes to date are impressive. Years ago, the GWCC stepped forward as an industry pioneer with a commitment to bring the possible out of impossible. As the SFCI Event Venue Pilot, the GWCC continues to showcase the power of What Can Be Done! 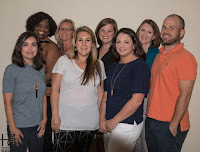 Throughout Elemental Impact's (Ei) eight-year history, tours played an integral role in educating the Ei Team on current scenarios and creative solutions to challenging situations. 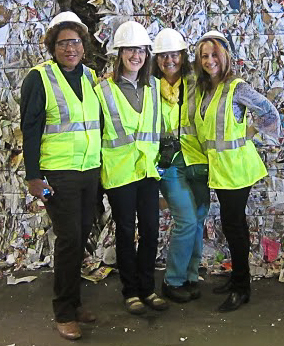 In the early Zero Waste Zones days, tours centered around MRFs (material recovery facilities), recycling centers, manufacturers where recyclable items are raw materials, and generators with successful source-separated material systems in place. As Ei work segued to Sustainable Food Court Initiative (SFCI) Pilots, tours focused on large generators where the consumer is responsible for material disposal. As the SFCI-Airport Pilot, Hartsfield-Jackson Atlanta International Airport, the busiest airport in the world, hosted the SFCI Team on International Terminal tours during construction and post-opening. The ZWA Blog article, SFCI Team Tours New ATL Airport Int'l Concourse, chronicles the during construction tour; the SFCI Atlanta Airport Pilot: ACTION Resumes article showcases the post-opening tour. At the SFCI-Event Venue Pilot, the Georgia Dome hosted several Falcons games tours to understand post-consumer food waste and packaging generated by the concessionaire and disposed of by the fans. 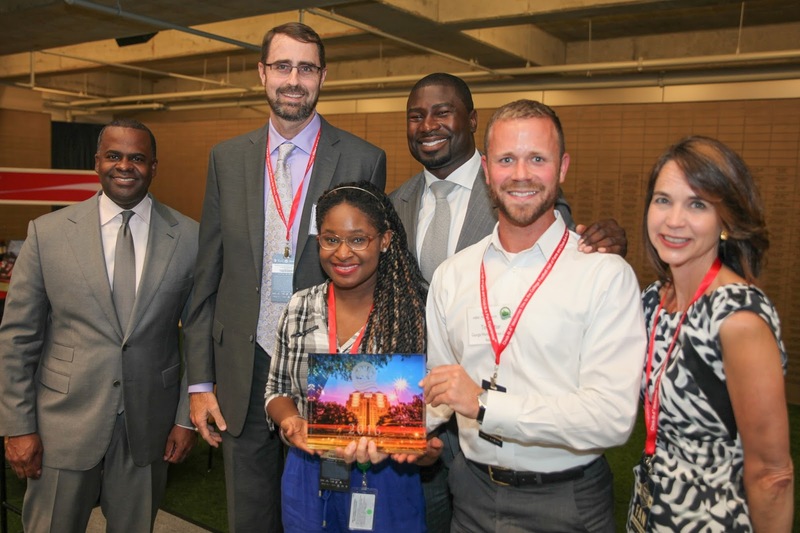 The ZWA Blog article, Winning Recycling Seasons: Team Work Required!, provides a recap of the 2013 game day recycling tour with the Mercedes Benz Stadium architects. The Ei Tours website page details the many Ei-hosted tours, segregated by Farm, Industry, Partner, and SFCI Tours. Each tour is supported by a blog article and Ei FB album. In July 2017, Ei shifted gears within the spiral of humanity's environmental impact. Ei evolved from a focus on Recycling Refinement and Post-Consumer Food Waste to Soil Health, regenerating the foundation of life. The ZWA Blog article, Soil Health: regenerating the foundation of life, announces the new platform and showcases the powerful foundation built within the Recycling Refinement platform and Post-Consumer Food waste focus area. 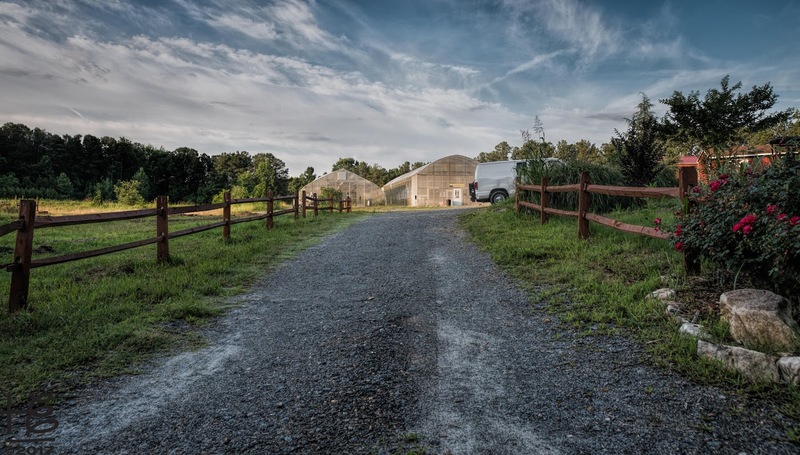 In preparation for the official Soil Health platform announcement, Ei embarked on a Farm Tour series in early 2017 with Georgia World Congress Center (GWCC) Director of Sustainability Tim Trefzer. Ei Farm Tours are focused on farms following regenerative agricultural practices, with a strong emphasis on rebuilding healthy soils. In addition, Tim stepped into his new Ei Leadership role as the SFCI Chair. First on the tour agenda was the February tour of the King of Crops Farm, located 25 minutes from downtown Atlanta. King of Pops, a popular hand-crafted popsicle company, purchased the farm to source locally grown organic ingredients nurtured within regenerative agriculture practices. Farm Manager Russell Hondered treated the group to a thorough farm tour including a narrative on its history as a well-established nursery. Remnants from the past are evident throughout the land adding character to the farm. In addition to farming, King of Crops is a state-permitted food waste compost site. Commercial and residential food waste hauler Compost Wheels delivers their material to the farm. Compost Wheels CEO David Paull joined the tour and educated on the farm food waste composting practices. Next on the agenda was a Kennesaw State University (KSU) Hickory Grove Farm tour. 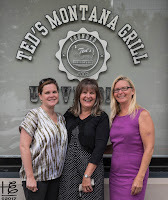 Kim Charick with the U. S. Environmental Protection Agency Region 4 (Southeast Region) joined Tim and Ei Founder Holly Elmore. Farm Operations Manager Michael Blackwell and KSU Professor Jorge Perez gave a thorough farm tour, along with details on the land history. 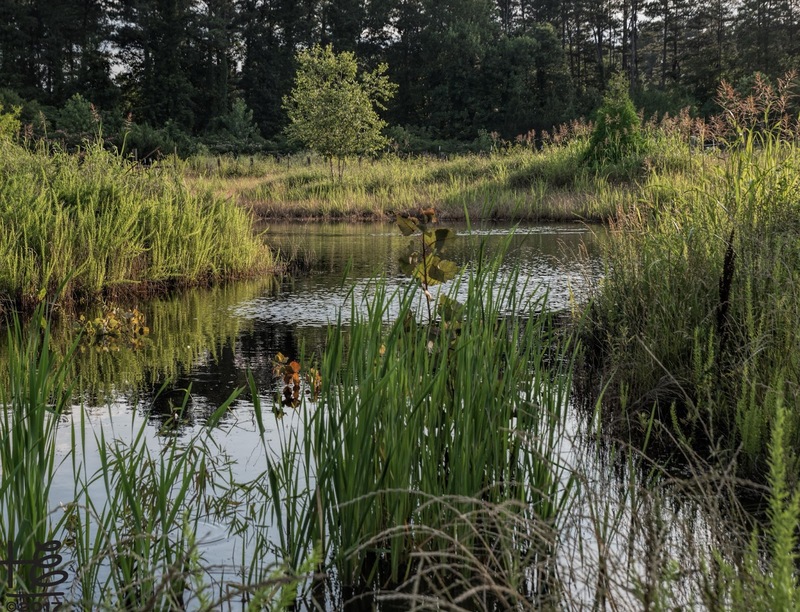 In 2013 the Georgia Department of Transportation (GDOT) leased the 26-acre tract of land to KSU for farm use. Formally, the site was the GDOT cement mixing site for nearby I-75 construction. Though not toxic, the soil was severely compacted and devoid of necessary minerals to sustain a healthy soil ecosystem. In addition, storm water flowed off the property, rather than hydrate the "dead soil." 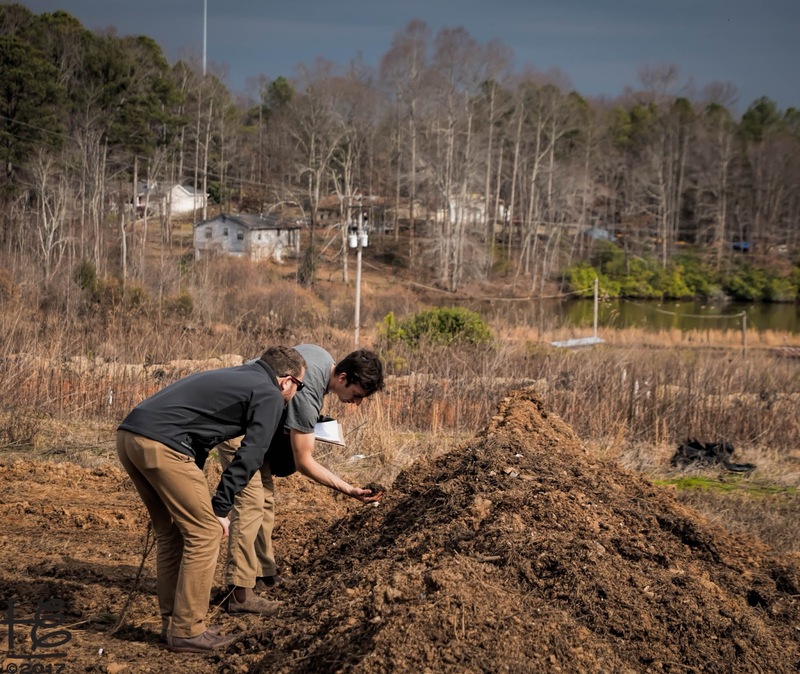 With patience, tenacity and a strategic plan, the KSU Leven School of Culinary Sustainability and Hospitality restored the land through regenerative agriculture practices. 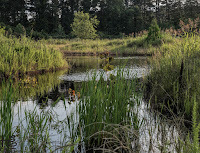 Simple, effective storm water management techniques retain water on the property, including a vibrant natural retention pond. Soil restoration is a partnership with the land; continued nurturing through compost use, crop rotation and other regenerative applications are necessary to maintain and improve soil health. In addition to serving as a laboratory for the Leven School and other departments, the farm supplies produce for The Commons, KSU's Gold LEED Certified dining hall. 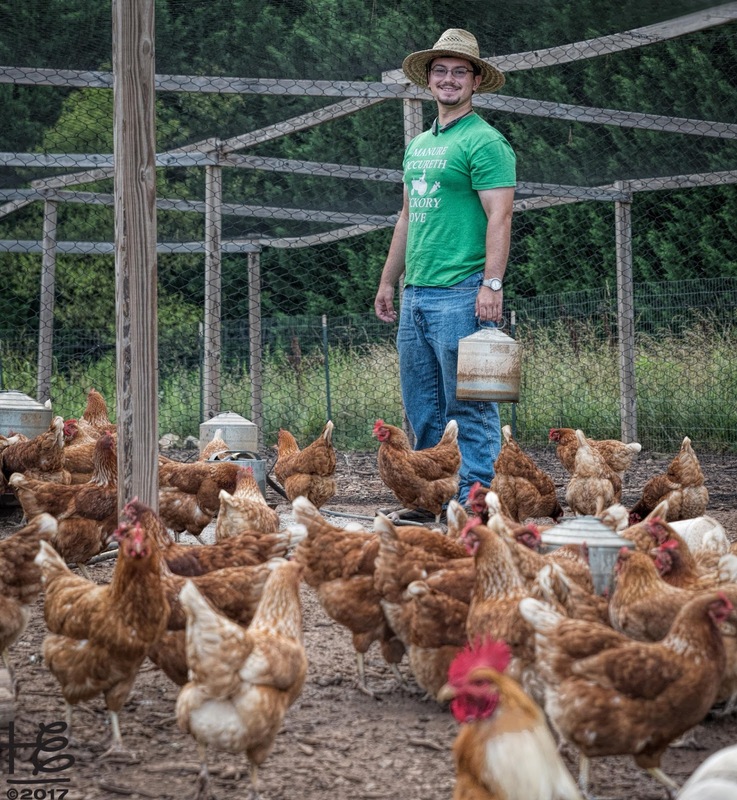 The farm's happy hens often supply 100% of the dining service's egg demand! Within the farm operations is the state-of-the-art Hydroponic Lab where tomatoes, cucumbers, and peppers are grown year round. Student volunteers stamp out soil blocks for seed planting in the Propagation Lab. Once germinated, the seedling soil blocks are planted in the High Tunnel and tended through harvest. By using soil blocks, the use of small plastic containers to grow saplings is eliminated. 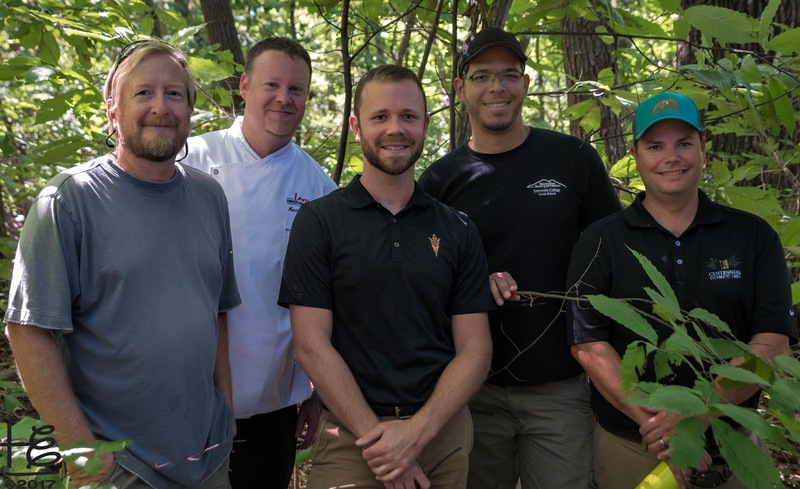 Inspired by the farm tours, Tim teamed with Levy Restaurants Executive Chef Matt Roach and GWCC Grounds Operation Manager Steve Ware to identify an on-campus mini-farm area. The intent is to use regenerative agriculture practices at the on-campus mini-farm to produce food for the employee dining facility. In late July, Ei hosted the GWCC Team at Hickory Grove Farm where Michael & Jorge educated on regenerative agriculture practices along with crop choice advice; Steve shared his extensive horticulture expertise, especially pertaining to plant | tree identification in the farm's old growth forest areas. In the farm's old growth forest, there are two healthy shoots from former magnificent American Chestnuts killed by the chestnut blight. It is estimated 3 - 4 billion American Chestnuts were killed by the blight in the first half of the 20th century. Though healthy in appearance, the shoots remain vulnerable to the blight. The GWCC team departed in high spirits, thrilled with on-campus farming opportunities and new friends at a fellow state-owned Institute. 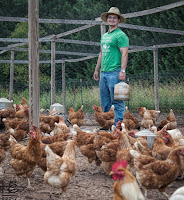 For a pictorial recount of the Hickory Grove Farm tours, visit the Holly Elmore Images FB album, KSU Leven School of Culinary Sustainability and Hospitality. The Ei FB album, Ei Connects, includes a section on the King of Crops Farm Tour. 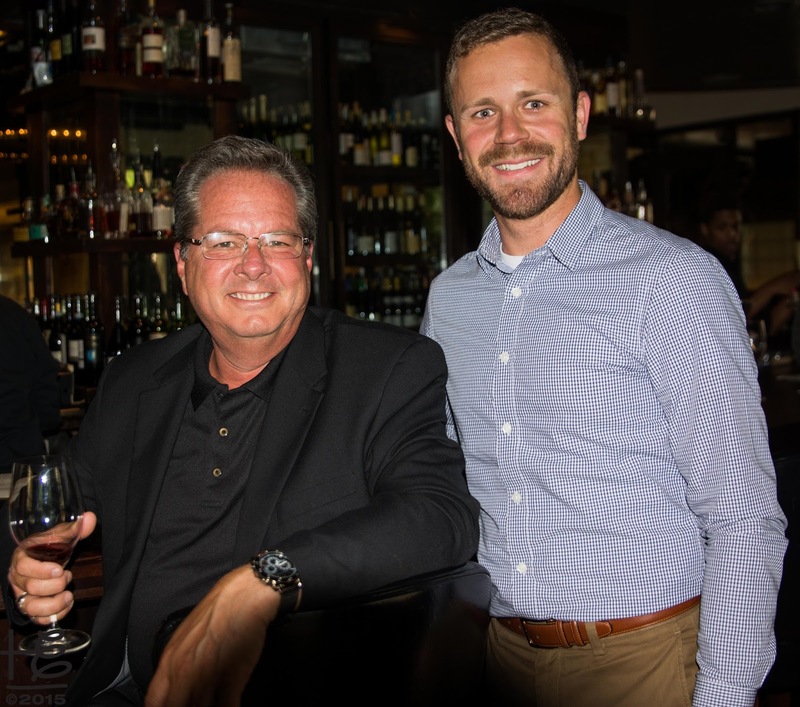 Beyond their educational value, tours build strong bonds among industry colleagues and inspire new, innovative projects. Ei is excited to embark on a Farm Tour series filled with new discoveries, inspiration, and empowerment within the Soil Health platform. 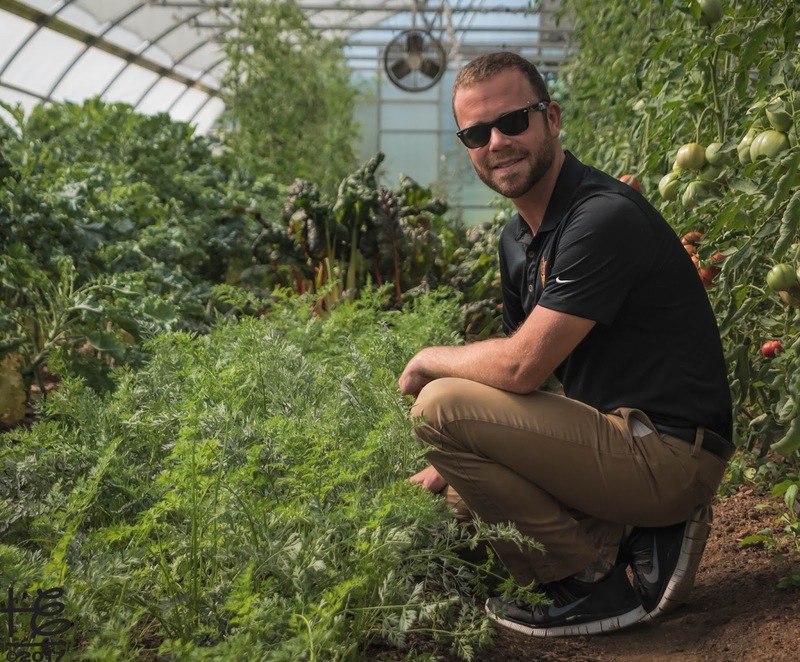 The potential GWCC on-campus mini-farm is a prime example of The Power of Tours! 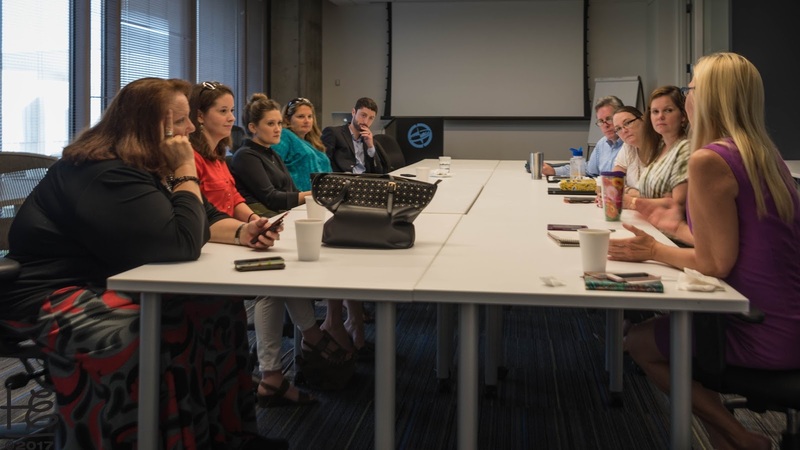 In late July, Elemental Impact (Ei) hosted U.S. Green Building Council (USGBC) Global Zero Waste Director Stephanie Barger on a whirlwind Atlanta zero waste-focused visit. 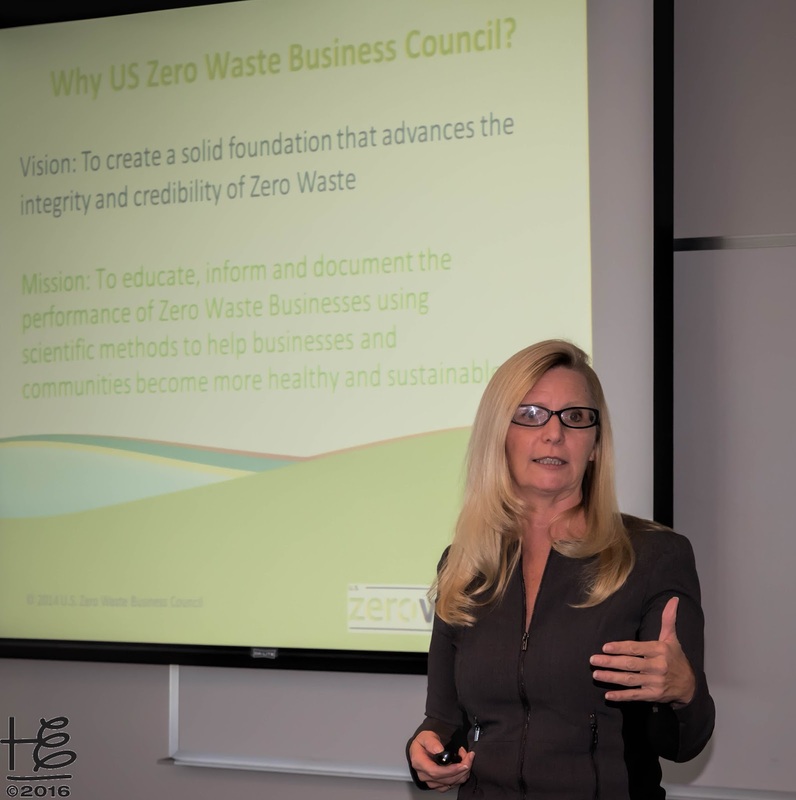 For three days, Stephanie met with Atlanta's sustainability leadership to educate on the USGBC Zero Waste Certification (ZWC) and their commitment to building a Zero Waste Economy. As the U.S. 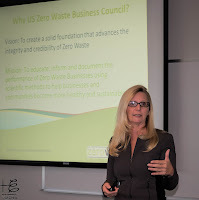 Zero Waste Business Council (USZWBC) Founder & Executive Director, Stephanie and Ei Founder Holly Elmore forged a strong, long-term partnership, with Ei serving as the USZWBC and National Zero Waste Business Conference (NZWBC) media partner. The partnership expanded beyond media relations via Ei-hosted NZWBC industry panels, Stephanie presenting at Annual Ei Partner Meetings, and much more. On October 5, 2016, the USZWBC joined forces with the USGBC. The prominent USZWBC Zero Waste Facility Certification was integrated into the Green Business Certification Inc. (GBCI), a USGBC organization that drives sustainability across all sectors. 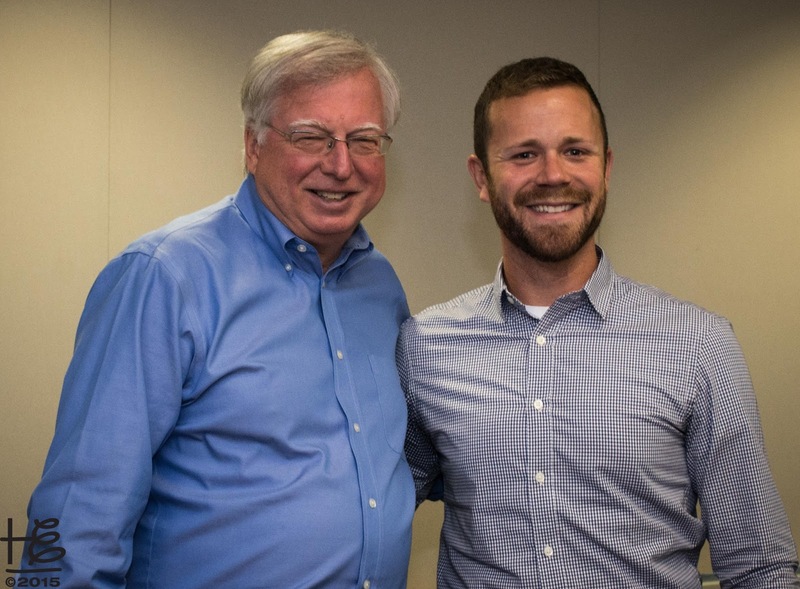 The ZWA Blog article, USGBC Empowers Zero Waste Industry: USGBC & USZWBC join forces, announces the powerful union. With USZWBC | USGBC | GBCI integration nearing completion, Stephanie steps into her new role transforming markets to embrace zero waste practices and building a Zero Waste Economy. The whirlwind Atlanta visit was designed to reconnect with Atlanta sustainability leadership and educate the Georgia USGBC community on the ZWC. 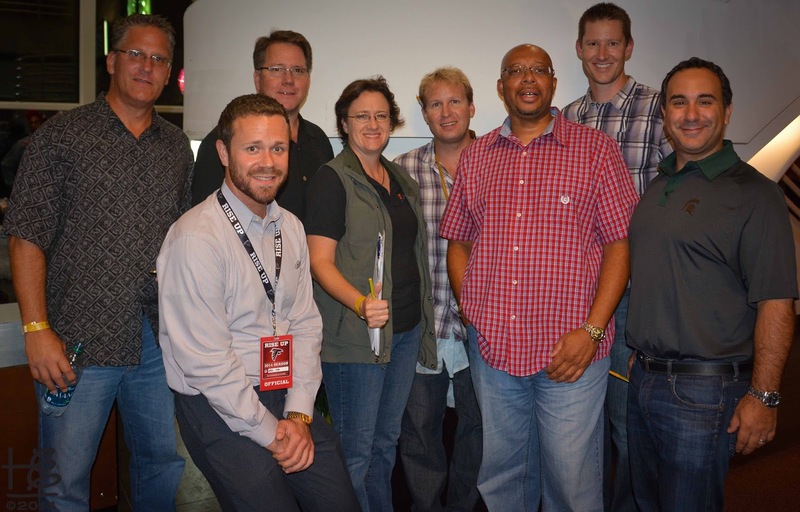 Atlanta hosted the stellar 2014 NZWBC. Thus, Stephanie is well acquainted with Atlanta's zero waste leaders in the private sector, non-profit realm, and local, state and federal government. It makes good sense to build off the powerful foundation and establish Atlanta as a USGBC zero waste community pillar city. Take Baby Steps, lots & lots of baby steps! In the afternoon, The Epsten Group hosted Stephanie for a two-hour education session beginning with general zero waste information and finishing with a ZWC overview. Intertwined within Stephanie's presentation, Holly educated on Recycling Refinement, moving beyond landfill diversion, using the Sustainable Food Court Initiative Pilots as prominent examples. It was empowering to showcase Atlanta's pioneers and leadership status. Holly's PPT presentation is available for download on the Ei Speaking Engagements page. The day finished with a light dinner at an eclectic restaurant nestled in Cabbagetown, a neighborhood originally built for the nearby cotton mill workers. Georgia World Congress Center (GWCC) Director of Sustainability Tim Trefzer joined Stephanie and Holly for a fun, relaxed catch-up. Under Tim's leadership, the GWCC achieved LEED Silver Certification and is the world's largest LEED Certified conference center. In 2009, the GWCC hosted the prominent Zero Waste Zones' launch press conference, culminating in a CNN Story and a front-page New York Times article. The GWCC is an early zero waste pioneer and hero! On the second day, Rubicon hosted Stephanie and Holly for a breakfast meeting in their amazing new offices. As a founding USZWBC member, Rubicon was interested in a leadership role within the USGBC zero waste community. In addition, Rubicon VP Investor Relations Elizabeth Montoya shared the impressive new high tech, app-oriented Rubicon service designed to maximize material collections, enhance route efficiency, and report community observations, such as pot holes in roadways. It was a pleasure to witness zero waste practices in action within Rubicon's offices. In the employee break area, beverage condiments are dispersed in individual servings, creating no packaging waste. Honey & blue agave are available in bulk, recyclable packaging. Landfill and recycling bins use Ei Strategic Ally Recycle Across America's standard labeling. ... and Rubicon contracts with close Ei pal Compost Wheels for commercial food waste collection! with AJC ZW sign in Cox lobby. Next on the meeting agenda was a visit to Cox Enterprises (Cox), a long-time Rubicon client. Cox Recycling & Waste Diversion Manager Meredith Brown gave an overview of zero waste initiatives in-place and planned. In addition, Meredith inquired on the leadership opportunities within the USGBC zero waste community. 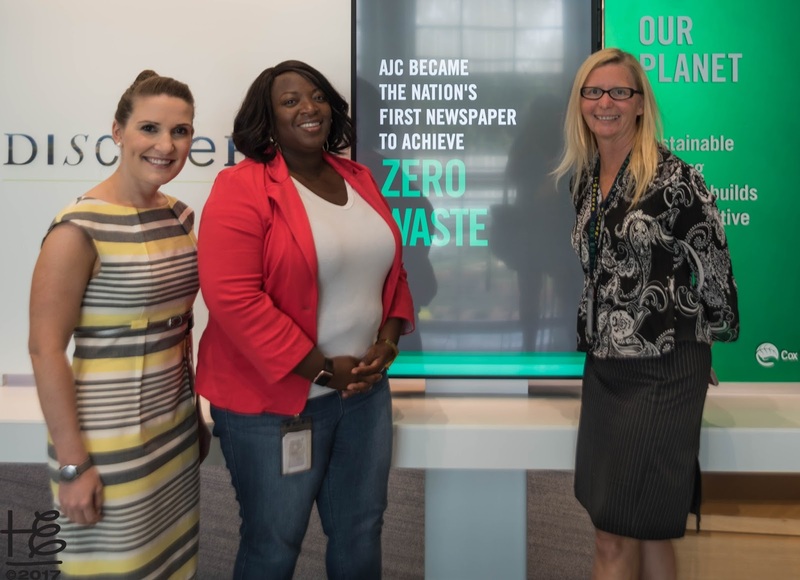 Owned by Cox, the Atlanta Journal & Constitution is the nation's first zero waste-certified newspaper. Afternoon meetings included visits at Ernst & Young and Hartsfield-Jackson Atlanta International Airport (Airport), the busiest airport in the world. Airport Senior Sustainability Leader Liza Milagro updated on the concessionaire contract compostable packaging provision implementation. In 2011, Ei worked closely with the Airport on the contract provision and issued the Compostable Packaging Info Packet on behalf of the Airport. The Atlanta Airport Compostable Foodservice Ware Packet page details the ground-breaking contract provision. The day ended with a casual, yet powerful, meeting with Mercedes Benz Stadium (MBS) General Manager Scott Jenkins. Only weeks into his new position, Scott delivered his first presentation as MBS General Manager at the 2014 NZWBC. 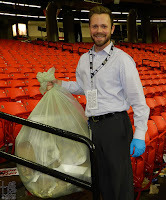 During the design and construction phase, Scott ensured the stadium was built for zero waste success. In a few short weeks, the stadium is slated to host its first game! In his role as the Green Sports Council Chair, Scott and Stephanie strategized on complementary programs in place and how the two organizations may work together. 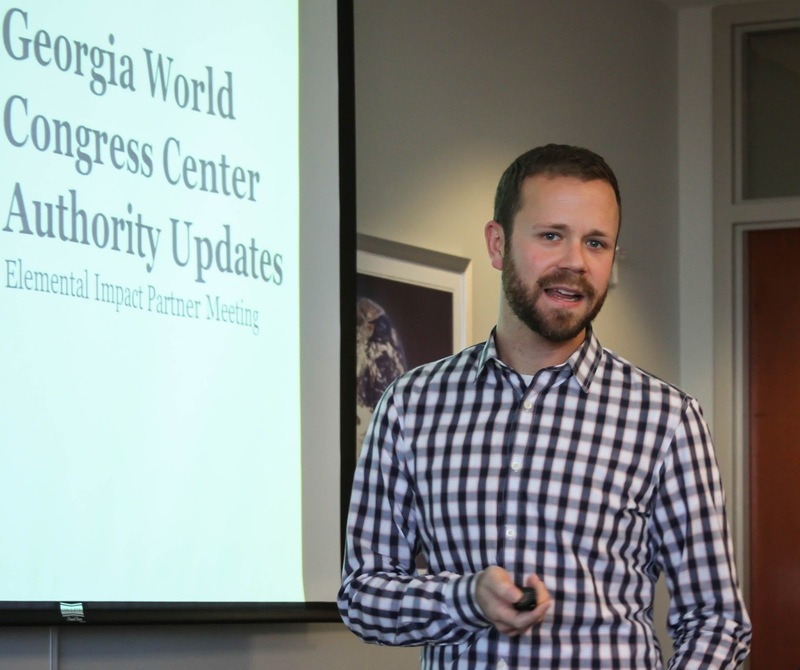 On the final day, USGBC-GA Director Shelby Buso hosted a meeting to educate the Georgia community on the ZWC. Meeting participants were eager to learn about the USGBC zero waste commitment and share their zero waste challenges, lessons learned, and successes. The City of Atlanta, Office of Resilience Senior Policy Advisor Boyd Leake stayed after the morning meeting to meet privately with Stephanie and Holly. The conversation topic centered on Atlanta serving as a USGBC zero waste pillar city. Shelby joined Stephanie and Holly for a mid-morning meeting with Tim at his GWCC offices. Tim gave an awesome update on the Georgia Dome decommissioning, GWCC remodeling, and Olympic Centennial Park redesign. Under the GWCC umbrella, the Savannah International Trade & Convention Center is in the LEED Certification application process. 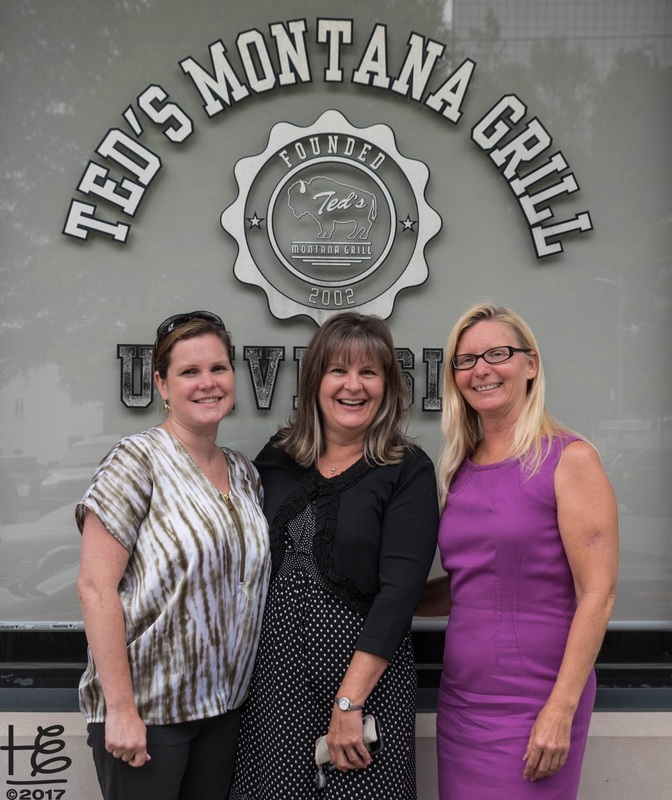 A fun, productive lunch with Ted's Montana Grill Purchasing & Sustainability Manager Paula Owens was the perfect final meeting on Stephanie's whirlwind Atlanta visit. After meeting Paula at an Annual Ei Partner Meeting, Stephanie invited Paula to present on a food waste-focused plenary panel at the 2016 NZWBC in Austin. The Ei FB Album, USGBC Zero Waste Certification and Education, includes a pictorial recap of Stephanie's Atlanta visit. Similar to creating a successful facility zero waste program, a Zero Waste Economy requires a methodical process filled with a multitude of consecutive, small steps. Essential to success is a template where businesses, the local community, and the environment benefit. 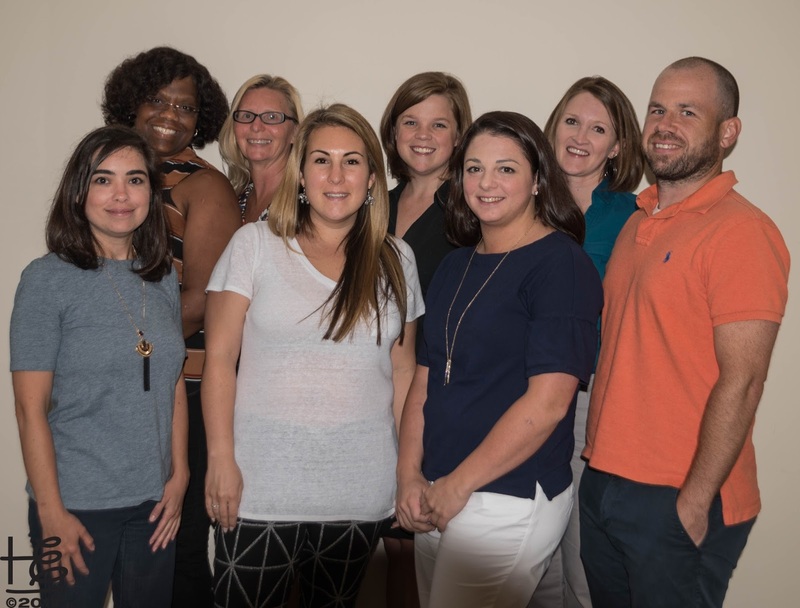 USGBC Global Zero Waste Director Stephanie Barger's July Atlanta visit was a strong step in building a Zero Waste Economy, one step, one city at a time!